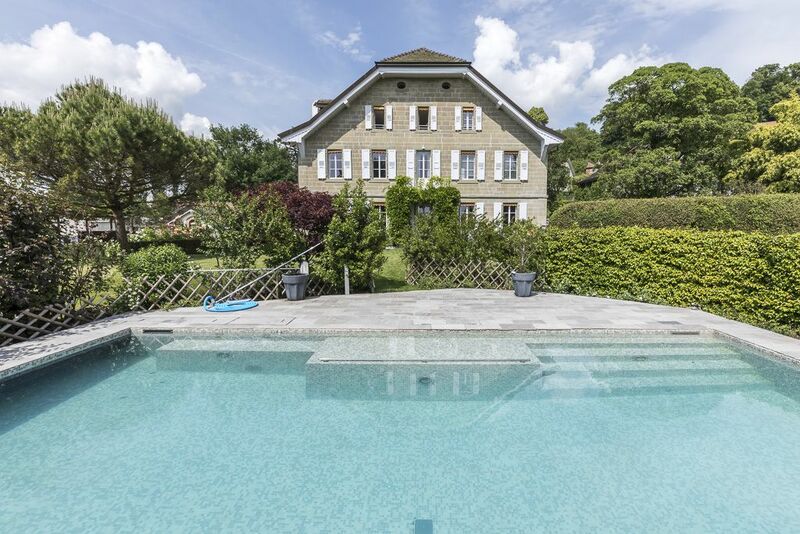 This magnificent, unusual property is located in the heart of a residential area in the municipality of Jouxtens-Mézery and combines period charm with modern comfort. Set amid leafy surroundings, it is close to all urban amenities. 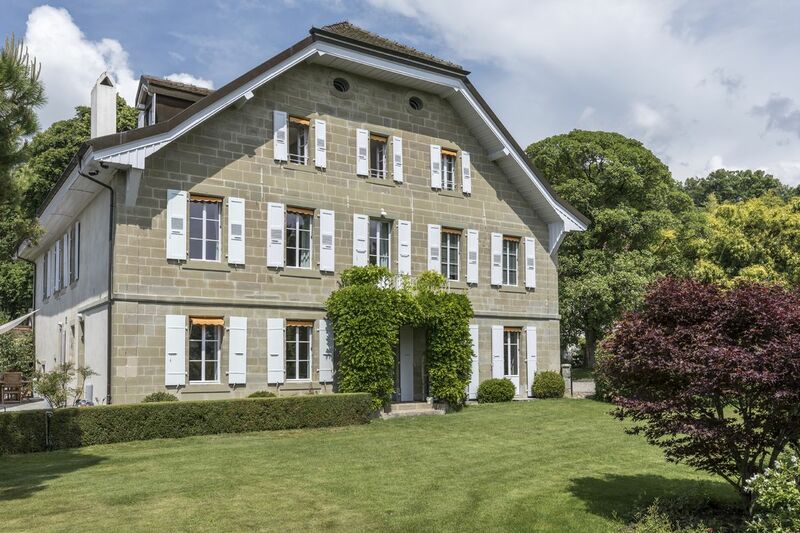 The main building occupies four levels served by a lift, as well as an easily accessible loft space, and offers a total living area of more than 680 m². Each floor offers plenty of space and light. The comfortable reception and living level covers more than 200 m², with an entrance hall, living room and TV area, dining room and functional, open-plan kitchen that allows you to enjoy both the interior and exterior. Access to the terrace, garden and equipment rooms is easy and practical. The first floor, accessed via the superb wood staircase or lift, contains the south-facing master bedroom with a spa-quality, beautiful en-suite bathroom (whirlpool bathtub, walk-in shower, sauna, double washbasin) and a large dressing room. Two children’s bedrooms with en-suite bathroom, an office and a spare room/laundry complete this floor of almost 240 m². The second floor, with slightly sloping roof, features a third children’s bedroom with en-suite bathroom, and a small separate apartment with living room, open-plan kitchen, two bedrooms and bathroom. The air-conditioned loft can be accessed via a spiral staircase and is currently used as an office and reception area. 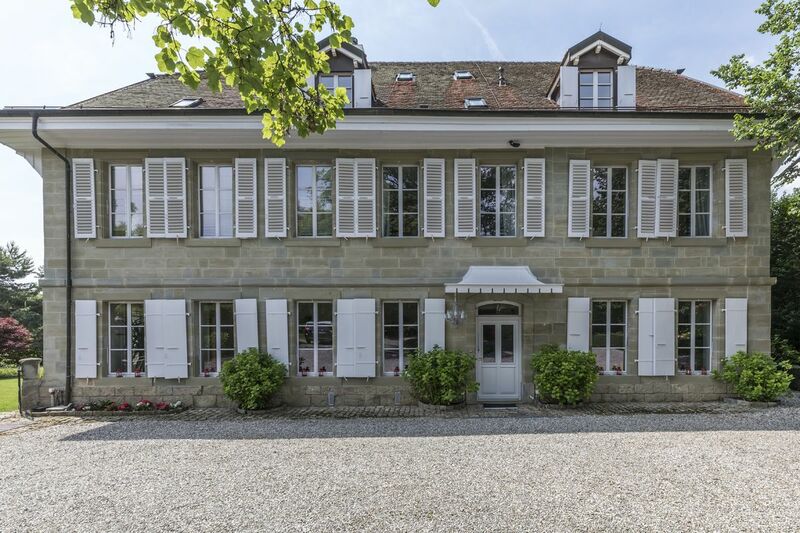 This property enjoys an exceptional location in a private setting with beautiful views over Lake Geneva to the south. 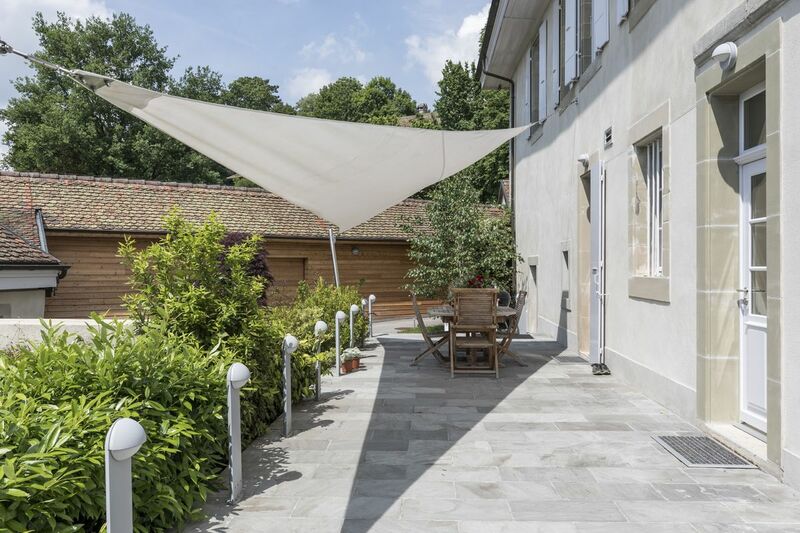 The rear courtyard is perfect for welcoming guests, while the west entrance serves the villa and its annexes (parking spaces, garage, studio, garden and equipment room). 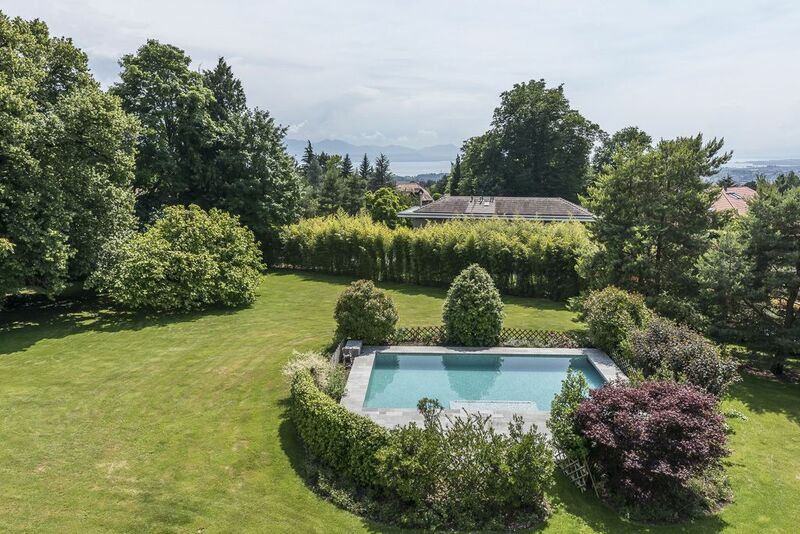 The large swimming pool is ideally located in the heart of the garden, surrounded by greenery and a variety of trees. 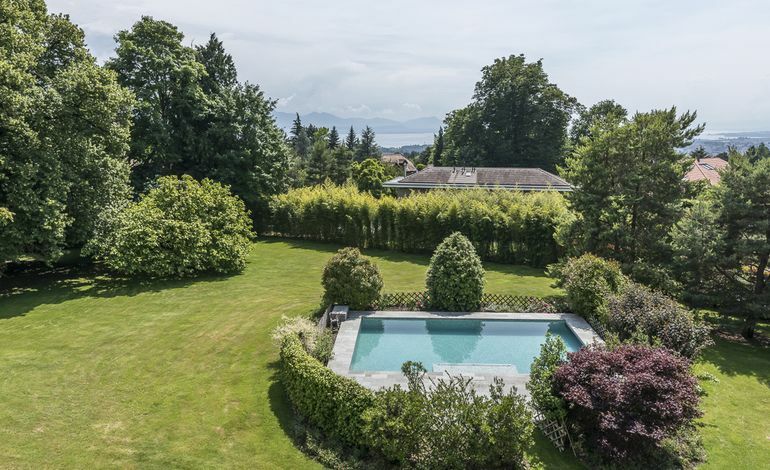 To the north of the plot, a two-level annex contains an apartment with four rooms (approx. 660 m³), which could be used to accommodate staff or guests. The current owners have taken great care with the renovation of the interior and exterior features, enhancing their quality while preserving the property’s historic charm. 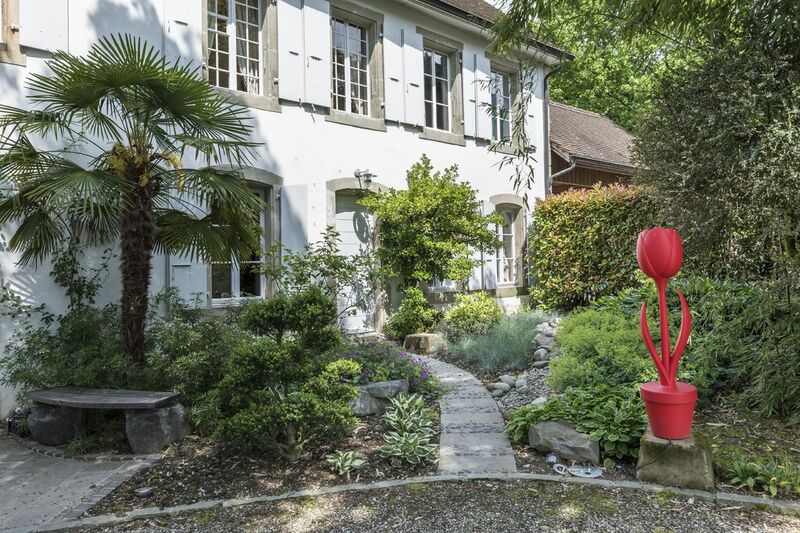 Visit this unique home now!